This is the unashamed winter version of my spring tart – the same base with some lovely, warm, winter flavours to top it with. I’ve mentioned in a previous post that it’s my birthday soon (on Monday), and in my opinion the celebrations should start today. 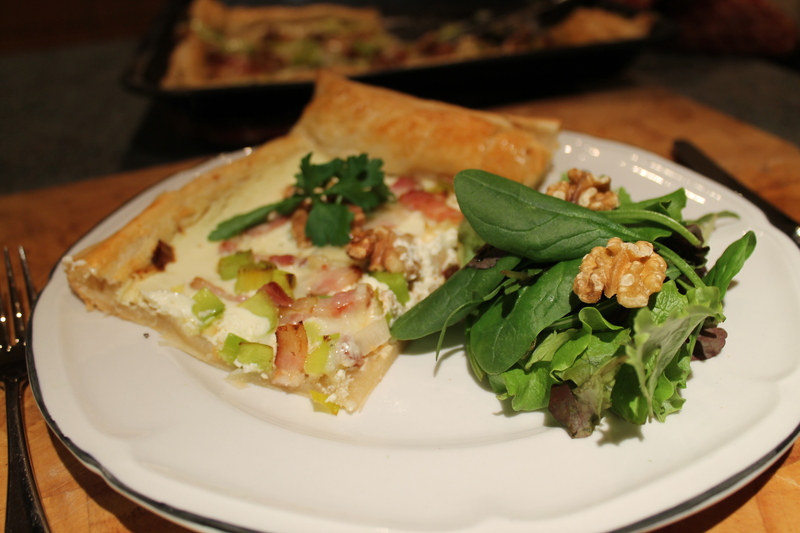 Only one day left at work before a lovely long weekend – what better time to celebrate with a delicious cheesy, pastry based tart with the beautiful flavours of bacon, leek, walnuts and gorgonzola (and a glass of wine). The tart is extremely easy to make. 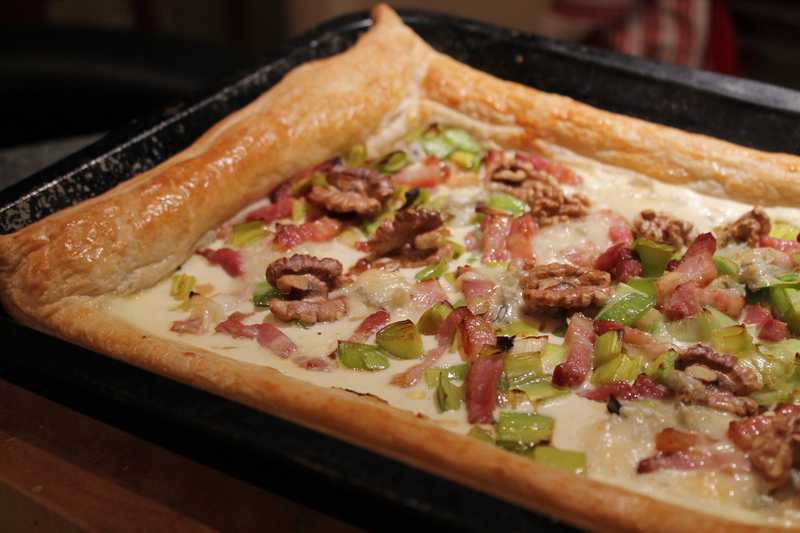 Although slightly more difficult to make than my spring tart, due to the frying of the bacon and leeks, it’s still desperately straightforward and if you’re someone who is a bit scared of using pastry, this is an excellent place to start. The tart was given the accolade “scrumptious” by my husband, so must be good. This will take you no more than 45 minutes to make, and will serve 4 with a side salad. 1. Preheat the oven to 220 degrees. 2. Fry the bacon lardons over a medium heat until golden. 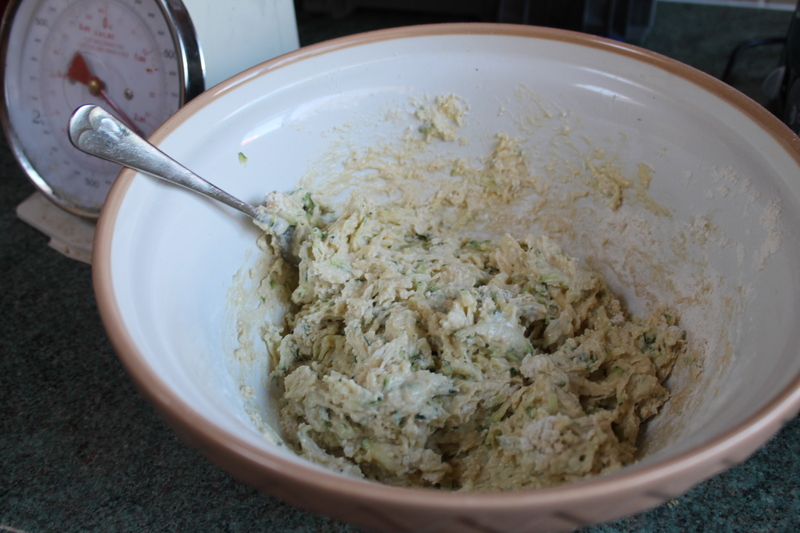 Finely slice the leeks and add them to the fryng pan; fry for another 3-4 minutes. 3. Unroll the pastry, lay on a baking tray and score all the way around the edge, 1 inch from the sides (don’t cut all the way through). Beat the egg in a bowl and brush a little around the outside edges. 4. Spread the soft cheese evenly over the inside scored rectangle of the pastry. Grind some black pepper over the top, then evenly layer on the bacon and leek mix. Sprinkle over the walnuts, and dot the gorgonzola over. 5. Bake in the oven for 15-20 minutes, until the sides are golden and puffed up. I don’t know about you, but I would always prefer a savoury breakfast to a sweet one. It always confuses me so much when I go to coffee shops or cafes; the breakfasts to take away always seem to be pain au chocolat or sweet muffins, with a tiny range of savoury sandwiches (bacon, sausage, egg, always the same…). 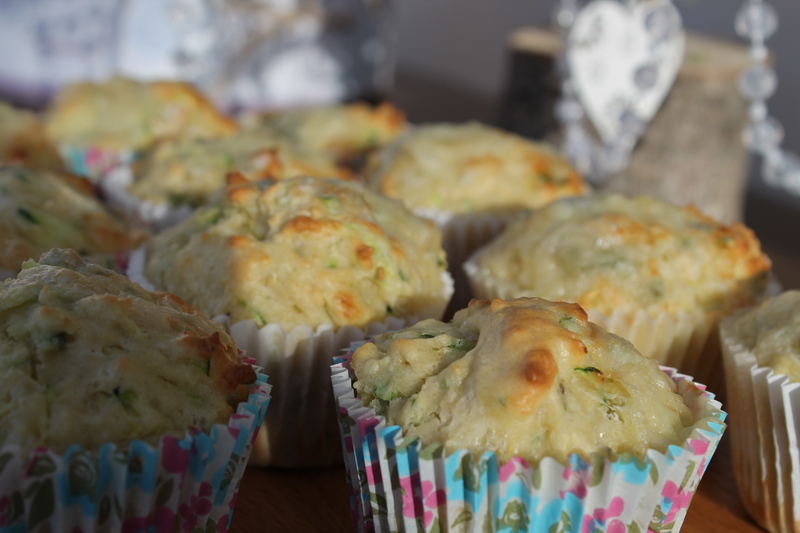 Muffin mixes can take savoury flavours just as well as sweet, and so I don’t understand why more places don’t sell them! But then, they’re so easy to make at home that it’s not too much of a problem. 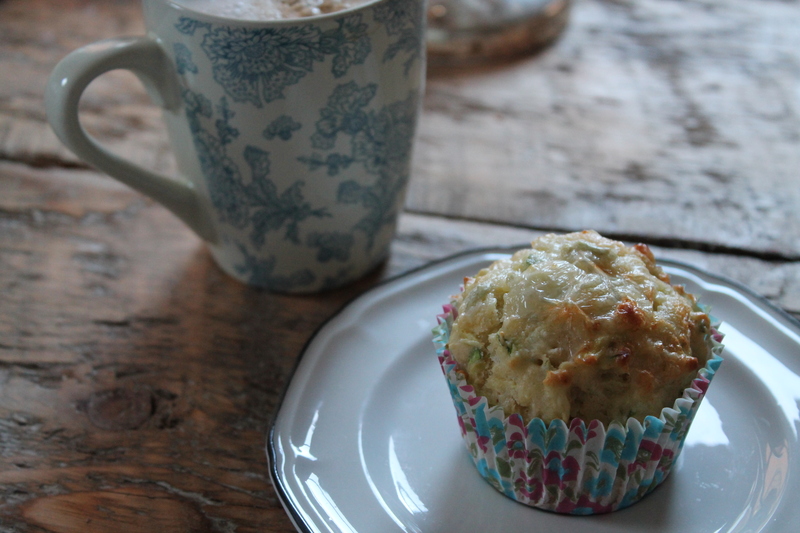 These particular muffins are made from one of my favourite vegetables, courgette, with some ripe gorgonzola (most other blue cheeses would work well too) and black pepper – simple, but a winning combination. Give them a go – if you’ve never made your own muffins at home before, you’ll wonder why not when you realise how simple they are! 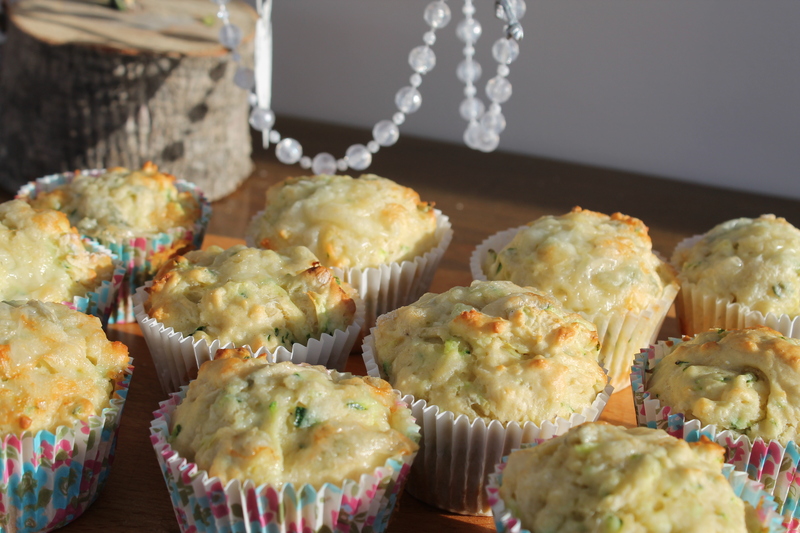 This takes 30 minutes max and will make 12 large muffins. 1. Preheat your oven to 220 degrees. 2. Weigh out the flour, baking powder and cheddar and place in a large bowl. 3. 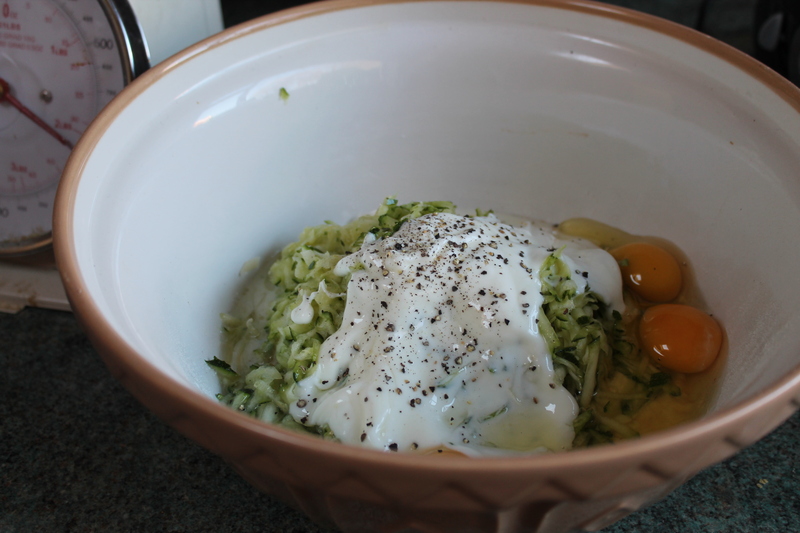 Add the grated courgette, yoghurt, milk, oil, eggs and a grinding of black pepper. 4. With a fork, break the egg yolks and beat gently, then combine the rest of the ingredients together, gently, until it is all combined. 5. Fill a 12 holed muffin tin with 12 muffin cases. Share the mixture out evenly between the muffin cases. 6. 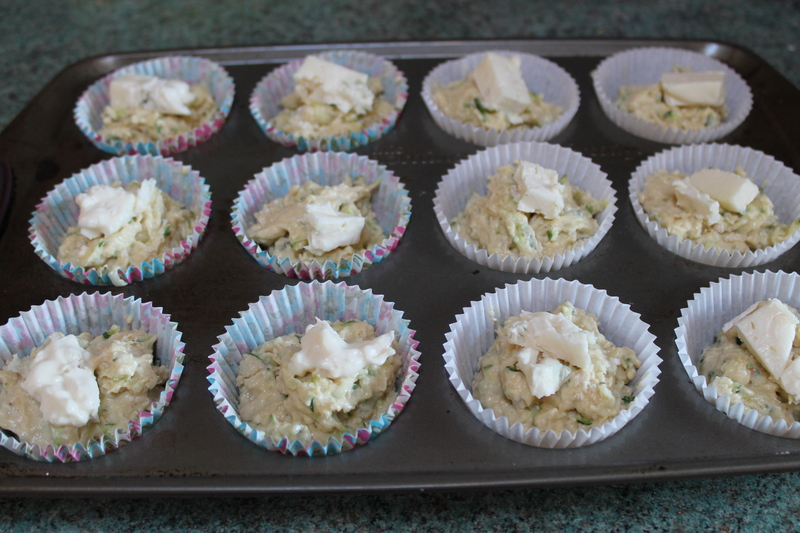 Chop the gorgonzola into 12 equal pieces and place one on top of each muffin. 7. Bake in the oven for 15 minutes until risen and golden.